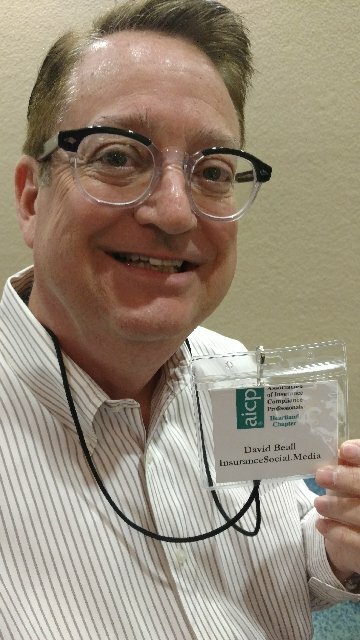 Des Moines, IA, April 3, 2017—Today InsuranceSocial.Media CEO David Beall participated in Global Insurance Accelerator Director Brian Hemesath’s keynote presentation at the AICP Heartland Chapter E-Day. Hemesath’s presentation focused on the growth of insurtech in the United States and globally, the startup journey that insurtech companies travel, and the role the Global Insurance Accelerator plays in the journey of selected companies. He then invited Beall to share his experience launching and growing the InsuranceSocial.Media platform, including the insurance industry’s great need for social media support and the company’s focus on developing regulation-compliant content. “I’ve been part of the insurance industry for many years, but being able to address compliance professionals in such a prestigious setting was a new experience,” Beall admitted. The Association of Insurance Compliance Professionals serves the insurance compliance community by promoting relationships, exchanging information, and providing learning opportunities within a dynamic regulatory environment. The Heartland Chapter includes the states of Iowa, Kansas, Minnesota, Missouri, Nebraska, North Dakota, and South Dakota.